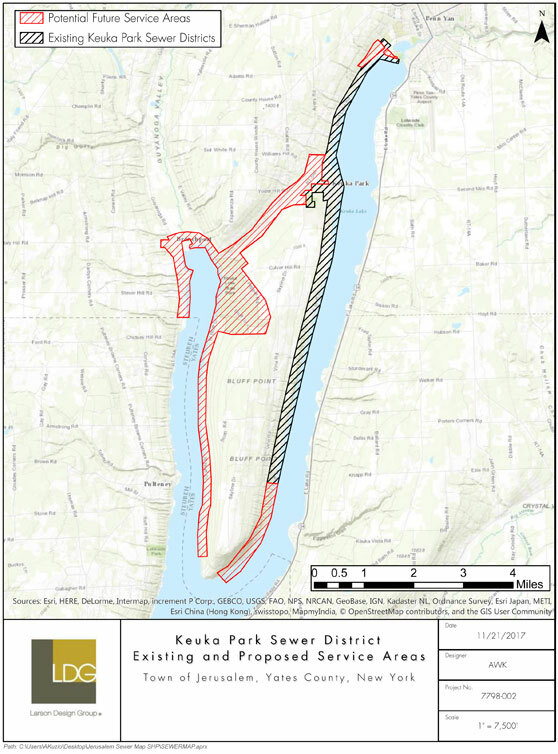 The Town of Jerusalem is considering possible expansion of the sewage collection system as shown on the “Keuka Park Sewer District Existing and Proposed Service Areas map”. If you live or own property in or near the areas shown for possible expansion please click on the link Participate in the Survey to take the survey regarding the potential expansion of our sewage collection system. The results of this survey are non-binding and will be solely used to measure public interest and evaluate possible further action by the Town Board to advance the project. RELEVIED ON THE TOWN AND COUNTY TAX BILL. FROM THE TOWN OF JERUSALEM.